Britain: Across most of Britain, listeners can receive coverage on Long Wave 252 kHz. In addition RTÉ Radio 1 is available on the UK free to air satellite platform Freesat on channel 750. Intelsat Service: For the first time, RTÉ Radio is providing a dedicated satellite radio feed of the finals. 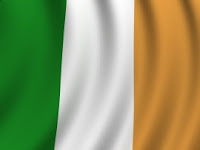 Full coverage from 1200-1600 UTC Irish time will be available on Intelsat (C Band) Channel 10: GAA Special. The coverage of the service is extensive - from western Africa over to Australia, as well as throughout most of Europe and Asia.